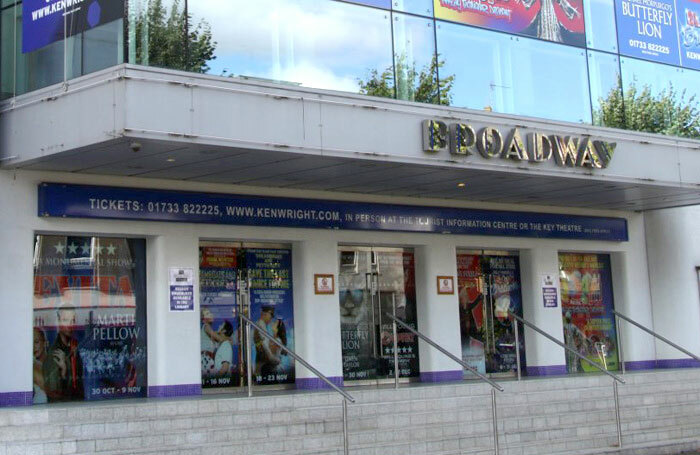 Producers behind shows including a Ruby Wax tour at the Broadway Theatre in Peterborough claim to have been left owed thousands of pounds by the venue’s collapsed operator. It was announced on August 7  that the venue’s management, Performance Art Ventures, had gone bust after running into “unrecoverable financial difficulty”. PAV was run by director Mark Ringer and the collapse of the company is the latest in a line of problems that have beset the theatre since 2009. The Broadway Theatre is owned by Rinaldo Fasulo and leased to the Dawe Charitable Trust, which has been subletting the venue to PAV. Both Ringer and Peter Dawe, trustee of Dawe Charitable Trust, were involved in the original bid to lease the venue from Fasulo and reopen the theatre back in 2017, following a period of closure. Producer Warren Lakin, of Lakin McCarthy Entertainment Ltd, told The Stage his company is owed £10,000 in box office income for Ruby Wax’s show Frazzled, which took place at the venue on April 17. Lakin said he has been chasing the payment for months, and has reported the issue to unions including Equity and the Musicians’ Union. He said: “What has happened here is unprecedented, both in terms of the amount of money we are owed and the scale of the venue involved. He added: “We have been led on a merry dance about getting the payment. Another producer of a show that took place earlier this year, who wished to remain anonymous, told The Stage he was left owed thousands of pounds in box office income. The Stage also spoke to another company that had worked with the theatre, which did not wish to be named, that also claimed to be owed thousands. A spokesperson said: “The venue was being managed irresponsibly. The management was promising to pay actors, employees and contractors more than they could afford. The Stage also understands that some staff have lost their jobs as a result of the management collapse. The Dawe Charitable Trust will now take over the sole running of the venue. It has vowed to keep the theatre operational until at least 2020. Dawe suggested that the acts visiting the theatre “are as culpable as PAV” for the failure of the theatre’s strategy, arguing that they need to “change their terms” to support regional theatre. He told The Stage: “Looking at the historical data of the theatre, we can see that the acts’ terms signed on were unsustainable, with high guarantees, low percentage share and expensive riders. He argued that if acts were “not willing to take a share of the risks” then the “death of regional theatre is only a matter of time”. Dawe said the theatre will “simply be offered on a dry-hire basis” in the immediate future, “as it is in no position to take financial risks, especially when there is a large downside and little upside”. Ringer did not respond to a request for comment from The Stage. The Broadway Theatre has had a chequered past. It closed in 2009 following a suspected arson attack and remained dark until early 2011. The venue reopened under a new company called StageLive, but closed in August 2011, after it was revealed that fraudster Paul Coxwell was running the venue. Producers and suppliers were left owed hundreds of thousands of pounds. It reopened in 2013 for a short period, with an 11-week season programmed by Bill Kenwright Ltd, one of the producers left owed money when the theatre closed in 2011. Kenwright staged another season in 2015, before Dawe and Ringer, who previously ran unsuccessfully to be the first elected mayors of Cambridgeshire and Peterborough, leased it from owner Fasulo in 2017. 2009: Theatre closes following a suspected arson attack. Late 2010: Theatre reopens under a new company called StageLive. January 2011: An investigation by The Stage reveals that StageLive is run by producer Paul Coxwell, who was previously convicted of fraud. August 2011: The Broadway closes again, with producers and suppliers left owed hundreds of thousands of pounds. 2013: Theatre reopens for an 11-week season by producer Bill Kenwright. 2015: Kenwright stages another season. July 2016: Owner Rinaldo Fasulo plans to turn the theatre into flats, which is met by opposition from figures including Kenwright. 2017: Peter Dawe and Mark Ringer, who previously ran unsuccessfully to be the first elected mayors of Cambridgeshire and Peterborough, lease the Broadway Peterborough from its owner Fasulo. 2018: Ringer’s company Performance Art Ventures, which is operating the theatre, goes bust after running into financial difficulty.